Pete founded ImpactECON in 2011. 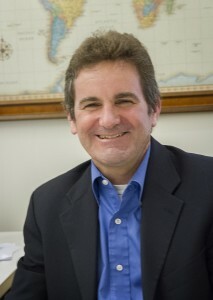 He brings over 20 years of experience as an economic consultant to his clients. Pete started consulting with Nathan Associates Inc. in 1993, when he was hired to perform analysis of the then proposed North American Free Trade Agreement (NAFTA) and World Trade Organization (WTO) Uruguay Round. The results of these analyses were notable for their high attainment of exposure to both industry and government negotiators, creating a common basis for talks in textiles and apparel negotiations. For the next ten years, Pete Minor was called on by industry and governments to provide industry- and economy-wide analysis of trade agreements including: The Free Trade Area of the Americas (FTAA), NAFTA Parity Initiatives for the Caribbean (CBI-Parity), The Caribbean Economic Recovery Act (CBERA), The Central American Free Trade Agreement-DR (CAFTA-DR), and The African Growth and Opportunity Act (AGOA). Starting in 2001, Mr. Minor focused on assisting developing countries adapting to the new trade environment. He was commissioned by USAID and foreign countries to provide analysis, which included a report on the changing trade environment and its impacts on developing countries, with a special emphasis on textile and apparel trade. His report “Changing Trade Rules for Textiles and Apparel,” co-authored with Erin Endean of CARANA Corp., was widely quoted and resulted in numerous speaking engagements around the world. The report was notable for both its technical rigor and for its accessibility to a wide audience resulting in high impact. This report set a standard which ImpactECON continues to strive for: clarity and technical rigor. In 2011, Pete established ImpactECON, LLC. a company focused on international trade economics and economic modeling. In 2011, Mr. Minor was awarded a Bank of the Netherlands Partnership Program/World Bank (BNPP) grant to co-direct the GTAP Africa project, a two year program including modeling, teaching and research components. This grant was completed in 2013 and resulted in the creation of the MyGTAP model and the GTAP Africa Database. In 2012, Mr. Minor was awarded a GTAP Research Fellowship for “outstanding contributions” to the computable general equilibrium field (CGE) including modeling, teaching and service to the community. Terrie Walmsley joined ImpactECON as a Partner and Director in 2014. Prior to joining ImpactECON, Terrie was the Director of the Center for Global Trade Analysis and Associate Professor at Purdue University. 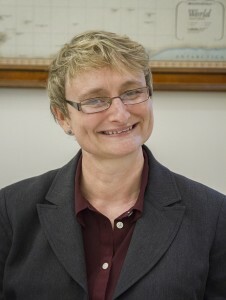 As Director of the Center for Global Trade Analysis, Terrie was responsible for overseeing the operations and strategic direction of the Center including: the release of versions six, seven, and eight of the GTAP Data Base; various graduate and non-graduate educational offerings; and numerous research projects and grants. Terrie has undertaken several trade policy studies and has developed and extended numerous global CGE models to incorporate supply chains, non-tariff measures, migration, dynamics and household detail into both Gempack- and Gams-based models. Her clients have included more than a dozen international agencies such as the World Bank, the Asian Development Bank, U.S. International Trade Commission (USITC), the European Commission, the Ford Foundation, and the Organization for Economic Co-operation and Development (OECD) among others. Terrie’s research interests also include modeling foreign investment and labor mobility within the GTAP framework. Terrie has published numerous articles in leading modeling journals addressing international capital ownership and is recognized in the GTAP community as a leader in this research area. In early 2016, the World Bank featured Terrie’s analysis of baseline development and alternative global growth scenarios in the Vietnam 2035 publication — these baseline forecasts included extensive analysis of Chinese growth and development and their impacts on Vietnam. Terrie has also led efforts at the GTAP Center to incorporate innovative data sets into the GTAP Satellite data series including migration (GATS mode 4), FDI, trade facilitation non-tariff measures (NTMs), and forecasts for the dynamic model. In 2012 she published, as co-editor with Dr. Elena Ianchovichina from the World Bank, a book documenting the Dynamic GTAP model. In 2015, Terrie was inducted into the GTAP hall of fame for her contributions to the GTAP network and modeling. In 2017, Terrie became a visiting scholar at the School of Economics, LeBow College of Business, Drexel University.